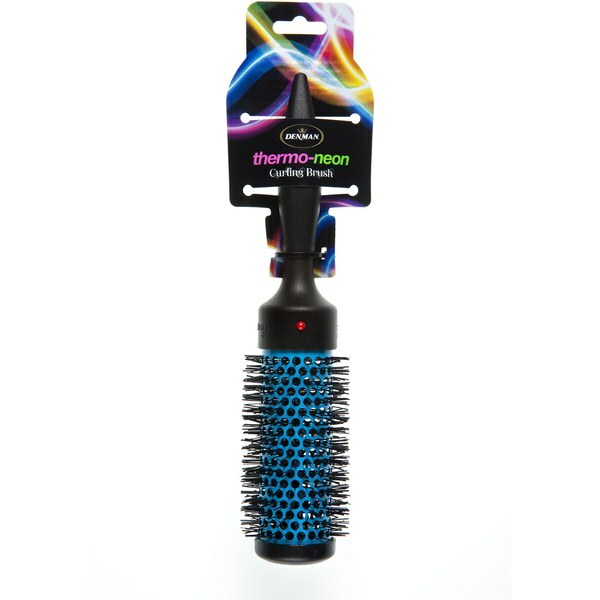 Effortlessly style hair with the Denman Medium Hot Curl Brush (38mm) in bright neon blue. 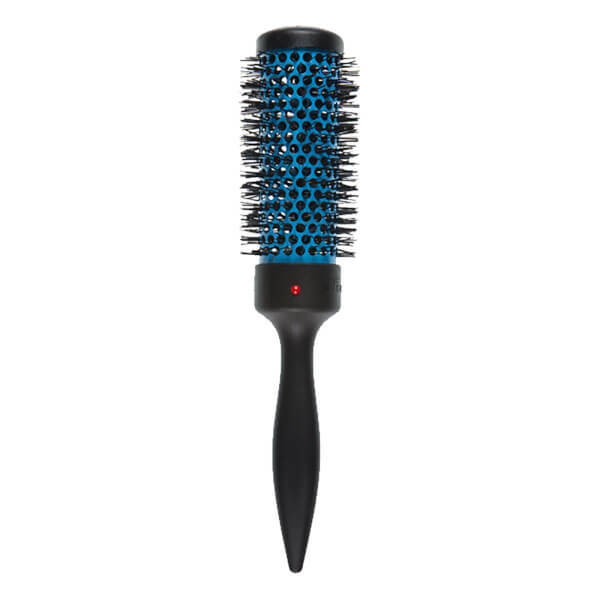 The thermoceramic barrel features vent holes to circulate and retain heat from the hair dryer, aiding drying time and the specially designed handle is shaped to section hair and offers ultimate grip for non-slip styling. Suitable for medium to long lengths, the hair brush has flexible bristles to control hair so you can experience calm, manageable and healthy-looking locks. E.N.